We have posted the March edition of our Factors In Focus newsletter to the website. 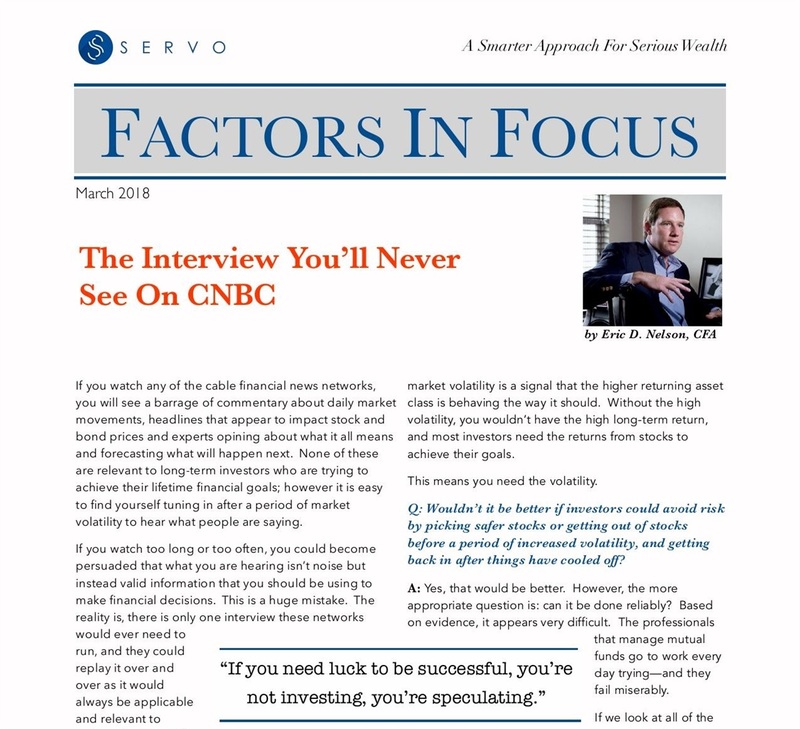 "The Interview You Will Never See On CNBC" as well as previous publications can be found on the Factors In Focus page. Clients will be receiving their copy in the mail shortly, so please take the time to read either the electronic version or the physical version when it arrives. As always, we appreciate comments, thoughts, and suggestions. Use the "Have a Question" box found throughout the website or just email me directly: [email protected] If you would like additional copies for yourself or friends/family members, don't hesitate to ask, or simply encourage them to sign up for our newsletter directly on the website.